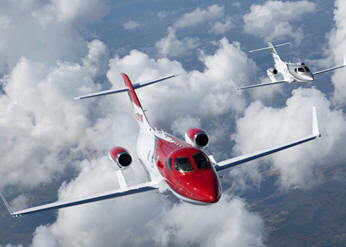 December 22, 2013 - Honda Aircraft Company announced two significant milestones in the development of the world’s most advanced light jet. The Federal Aviation Administration (FAA) has issued the first Type Inspection Authorization (TIA) certificate for the HondaJet and has certified Honda Aircraft Company’s customer service facility as a Part 145 repair station. Type Inspection Authorization is a pivotal point in the development and certification of a new aircraft. It signifies that the HondaJet meets type design requirements and is ready for FAA pilots to perform onboard flight tests required for certification. Nose-to-tail FAA review during this final testing phase will pave the way for HondaJet type certification and the first deliveries to HondaJet customers. The Honda Aircraft customer service facility is located at the company’s world headquarters at the Piedmont Triad International Airport (KGSO) in Greensboro, N.C. Facility aircraft repair and service capabilities under the FAA Part 145 certificate will initially include component-level repairs and will then expand in 2014 to include heavy aircraft maintenance and major repair services to complement the HondaJet dealer network.